Bryan Jerome Bowen, a 27-year-old black man, died Wednesday, March 21, after he was shot in the 300 block of West 101st Street in Broadway-Manchester, according to Los Angeles County coroner’s records. About 11:50 p.m. March 20, two men walked into a home and one pointed a gun at a man sitting on a couch before asking about a man “with the gold chains,” said Los Angeles Police Det. Nathan Kouri. Bowen walked into the room and the man pointed the gun at him, Kouri said. Bowen tried to wrestle away the weapon, but the man shot him, police said. The shooter’s accomplice fled, while other people in the home began to beat the gunman, later identified as Chizem Cassell, a 19-year-old black man, Kouri said. Dmorea Jovon Tyrece Robins, a 20-year-old black man, was shot and killed Tuesday, Sept. 12, in the 9600 block of South Wall Street in Broadway-Manchester, according to Los Angeles County coroner’s records. About 2:40 p.m., Robins and another person were sitting inside a Ford Mustang when another car pulled up and began firing, said Los Angeles Police Det. Nate Kouri. The other person jumped into a car and drove in search of medical help, flagging down police nearby, Kouri said. 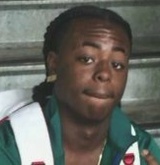 Robins was pronounced dead at the scene at 2:55 p.m., according to coroner’s records. Police are still working on a description of the shooter's vehicle, Kouri said. 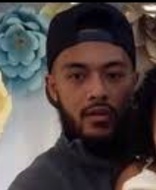 Siosifa Maama, a 21-year-old Tongan man, was shot and killed Wednesday, July 19, in the 11400 block of South Broadway in the Broadway-Manchester area of South Los Angeles, according to Los Angeles County coroner’s records. Shortly before 10 p.m., between four and six people drove to a marijuana dispensary and tried to rob the store, Los Angeles Police Det. Nate Kouri said. The would-be robbers struggled with Maama, a security guard, who was shot. Two other people inside the business also were shot, Kouri said. A third person was wounded and ran away. Maama was pronounced dead at the scene at 10:10 p.m., according to coroner’s records. The other shooting victims are expected to survive their injuries, authorities said. Cecilio Hernandez, a 46-year-old Latino, was shot and killed Wednesday, June 14 in the 10400 block of South Olive Street in Broadway-Manchester, according to Los Angeles County coroner’s records. About 11:30 a.m., officers from the LAPD’s Southeast Division responded to a call of a shooting and found Hernandez outside a dark-colored van, said Los Angeles Police Det. Dave Garrido. Hernandez was taken to a hospital where he was pronounced dead at 1:03 p.m., according to coroner’s records. Witnesses told police that Hernandez was involved in an argument with a woman inside the van when a dark-colored sedan pulled up and three to four black men got out and walked up to Hernandez’s van, Garrido said. One of the men opened fire into the passenger side, striking Hernandez. The woman was not injured. Lazale Smith, a 27-year-old black man, was shot and killed Wednesday, May 31, in the 100 block of West 104th Street in Broadway-Manchester, according to Los Angeles County coroner’s records. About 12:45 p.m., patrol officers from the Los Angeles Police Department responding to a call regarding an assault with a deadly weapon found Smith unconscious in the street, Los Angeles Police Det. Dave Garrido said. Investigators think Smith had pulled up to the area in a dark-colored SUV, got out and fired multiple rounds down a long driveway. Another person returned fire, striking Smith, who collapsed in the street. The SUV in which Smith had arrived then fled, police said, and no additional victims were found. Detectives are working to identify the other shooter.